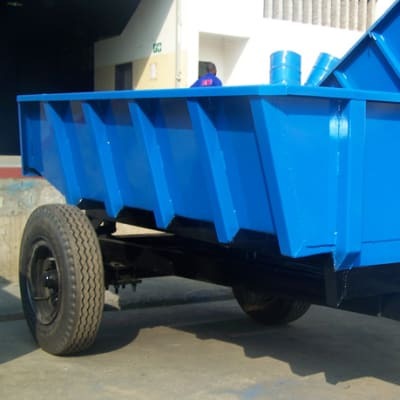 Tandem Trailer Tech is one of the leading suppliers in Zambia of all kinds of trailers, including highway and off road trailers up to 40 tons, dumpers and tippers, road tankers and specialised haulage trailers. This company also has extensive experience in the manufacture and maintenance of railway rolling stock. Henred Fruehauf is dedicated to the manufacturing and supplying of trailers, together with a full range of related products and services. Having been in operation for over 30 years, Henred Fruehauf has grown to become a powerful player in the market, currently producing 400 trailers per month. With an established well-equipped engineering shop and 170 experienced staff, customers are assured of a professional service. Visit the factory show room to view a full range of trailers and tanks. AFIL Engineering also offers custom made heavy engineering products such as pontoons and floating bridges.